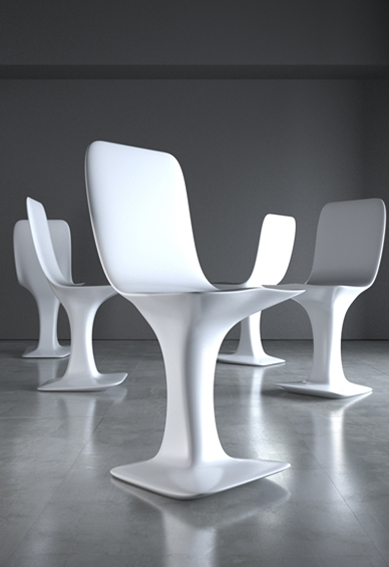 - These soft fluid objects are conceived as a mesh molded and sculptured in one piece structure. It is a transition from the horizontal to the vertical by a combination of structural elements into one smooth and dynamic formation. These furnitures evocates the fascinating and futuristic atmosphere of Star Trek (Spaceship USS Enterprise) and reinterprets usual objects with a modern conception of design. Ultimately the new production methods are driven by the new possibilities of creating a significant technological advancements in three dimensional design software.